The CBGB Music & Film Festival has announced the 2013 official film lineup, which will feature over 60 feature films and shorts including world and US premieres mixed in with shorts, fan favorites and a wide selection of music driven movies. 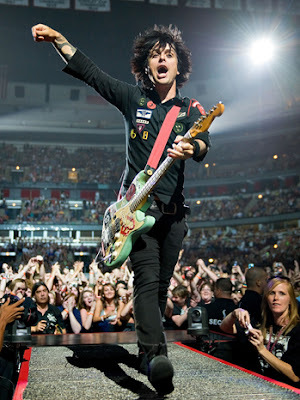 The fest will kick off with BROADWAY IDIOT (a documentary following Green Day’s Billie Joe Armstrong and the making of his Broadway bound American Idiot) and the highly anticipated US theatrical premiere of the feature film, CBGB. The CBGB Film Festival is a five-day festival/conference that will take place from Wednesday, October 9 to Sunday, October 13. The fest will premiere an estimated 60 feature films and shorts, featuring Q&A sessions with directors, producers and actors. Please follow The Mac Wire on Twitter and and connect with Facebook. Broadway Idiot, a documentary about a play based on an album, is set to screen in select theaters this fall. Green Day’s American Idiot, the album, was first released in 2004, then later adapted into a musical by the same time, which premiered in 2009 and opened on Broadway in 2010, before hitting the road as a tour in 2011. Broadway Idiot, which was first announced back in January and premiered at South By Southwest in March, follows Green Day frontman Billie Joe Armstrong, who appeared in some Broadway performances of the show, in his journey to adapt the album into a musical. The Doug Hamilton-directed documentary showcases tons of behind the scenes footage, interviews, and more, and opens in New York on Oct. 11 and in select markets in the U.S., Canada, as well as on demand, Oct. 1st. Green Day announced they will premiere highlights from their documentary ¡Quatro!on November 28 on VH1. ¡Quatro! takes fans inside the world of Green Day, from the various spontaneous live performances in select cities across the U.S. to the chronicling of their creative process while conceptualizing and recording their current trilogy of albums: Green Day ¡Uno!, Green Day ¡Dos!, andGreen Day ¡Tré! ¡Quatro! will premiere on VH1 on Wednesday, November 28 at midnight, followed by airings on MTV2 during 120 Minutes on November 30 and on Palladia the same day. Green Day rocker Billie Joe Armstrong has checked into a treatment facility for substance abuse after trashing equipment and hurling abuse at promoters during what appeared to be a public meltdown at a Las Vegas festival. The rocker and his bandmates were performing at the iHeart Radio Music Festival on Saturday when Armstrong took offense to a time warning towards the end of his set, storming offstage after accusing concert organizers of disrespecting him. The video footage of his meltdown has since been posted online. In a statement released to The Associated Press, the band has apologized for the incident, insisting the set was not cut short by promoters, as has been suggested. The group’s new album, Uno, will be is released on Tuesday. Armstrong’s treatment news comes just weeks after the trio was forced to scrap a show in Italy after the singer was hospitalized with with an undisclosed medical issue on September 2nd. A spokesperson for Green Day confirmed exclusively to MTV News on Tuesday (September 4) night that the VMA veterans will be in Los Angeles for their rehearsal on Wednesday and that they are ready to plug in for the big show after a recent health scare for singer Billie Joe Armstrong. Despite Armstrong’s trip to an Italian hospital on Sunday night, Green Day are still on tap to rock the 2012 MTV Video Music Awards at 8 p.m. ET/PT Thursday night. Armstrong’s health issue forced GD to cancel their show in Bologna, Italy, on Sunday after the singer was rushed to a hospital for undisclosed reasons. According to their site, after the VMAs, the band’s next scheduled tour date is on September 21 at the iHeartRadio Music Festival in Las Vegas, Nevada. Green Day put their humble beginnings to bed with the release of two epic concept albums that solidified themselves as one of the most essential contemporary American rock bands. 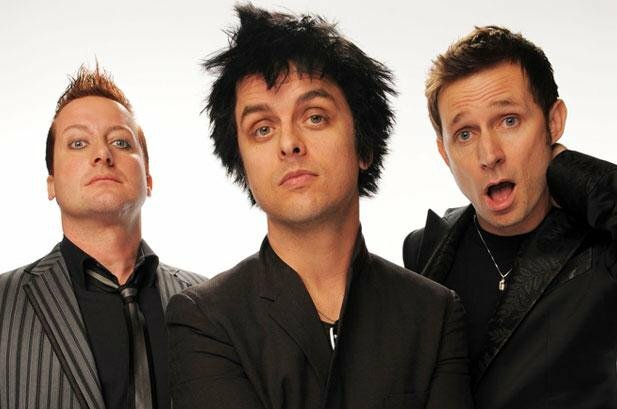 But now, even the sprawl of American Idiot and 21st Century Breakdown is too confining for the boys from Berkeley, as they have announced that they will be releasing a trio of brand new albums between September and January. The albums will be titled ¡Uno!, ¡Dos!, and ¡Tre!, the third eschewing the proper Spanish spelling of “three” in favor of a reference to drummer Tré Cool. They represent the first proper releases from the band since 2009. ¡Uno! will hit stores on September 25, with ¡Dos! following on November 13 and ¡Tre! hitting on January 15 2013. There’s no indication about what the new music might sound like, though fans in Japan, France, Germany, and Italy may be able to get a preview when the band plays festivals in those countries later this summer. Green Day has announced that the band is working on its upcoming ninth album. It is not clear whether F*** Time is the name of the album. The band has, however, noted that the new LP will steer away from the concept-album theme of its last two albums, American Idiot and 21st Century Breakdown. Green Day debuted a new song, “Carpe Diem,” during a live show in San Francisco last November, and has since performed various new tracks — including “Wow, That’s Loud” and “Make Out Party” — at other live events. 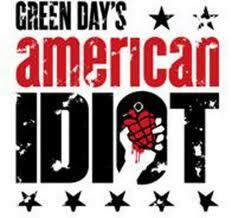 Green Day’s American Idiot musical recently finished a long stand on Broadway and will be touring the UK in October. Green Day star Billie Joe Armstrong is to reprise his role as St. Jimmy in the movie adaptation of hit musical American Idiot. Armstrong, who came up with the concept for theBroadway show which is full of his band’s music, took a lead role on two separate occasions earlier this year (11), and according to The Hollywood Reporter, he’s planning to make his big screen debut when director Michael Mayer turns the musical into amovie. Tom Hanks will be among the co-producers of the project, which is set for a 2013 release. American Idiot, the Broadway show based off Green Day‘s 2004 album of the same name, will close, the producers announced in a statement Thursday. Ticket sales had plummeted when the band’s front man, Billie Joe Armstrong, departed earlier this month. Box office sales went from $1.3 million to $395,275 in the first week after he left. Armstrong will reprise his role of St. Jimmy beginning April 5 for the final three weeks on stage. His return marks the one-year anniversary of the American Idiot. After 421 performances and 27 previews on Broadway, the final show is set for April 24. The first national tour launches this fall.